Runny nose? Itchy eyes? Headache? I think I can easily diagnose what is wrong with you. Summer is here. The sun is high. The air is warm. The burgeoning trees are in full bloom and the air is heady with pollen. 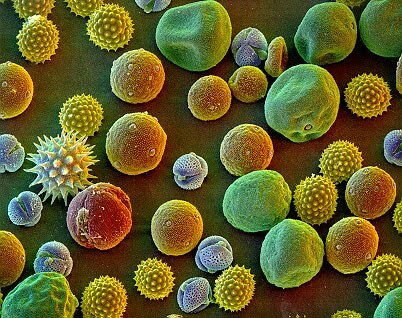 You are probably, like me, one of the 10% of the world’s population that suffers from pollen allergy. In Sweden, there are tens of thousands of people who are allergic. It’s raging wild. It’s like a national epidemic. They innoculated us against swine flu. Why not this? According to statistics I saw the other day, Sweden has the highest rate of pollen allergy per capita than most other countries in the world. Why is this? Various theories abound. Some say that Swedes are simply too clean. They are so squeaky clean that they cannot deal with bacteria and other alien elements, such as pollen, in their environment. Others say that Swedes are soft. The long winter indoors doesn’t equip them for the amount of pollen that explodes in their eyes and nostrils this time of the year. Others claim it is the nature of the flora in Sweden that makes the residents more susceptible. Birch, widely present in Sweden is, apparently, a nasty old pollen producer. Whatever the reason, one thing is clear. It is one of life’s ironies. After a long winter, the beautiful Swedish summer finally arrives. But many people can’t be outside because of the poisonous pollen. I guess it’s just to squirt in the eye drops, pop the allergy pill, step out into the park and accept that even paradise – the garden of (Sw)Eden – had a snake.